The Monomaster is easy to use, lightweight and fits in any vest or trousers pocket. 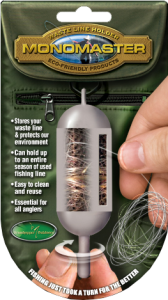 Alternatively, it can be attached to a zinger or a D-ring of your fishing vest. The slider above is pretty self-explaining, as is the retail packaging shown here. Watch the video to learn all bout the Monomaster. 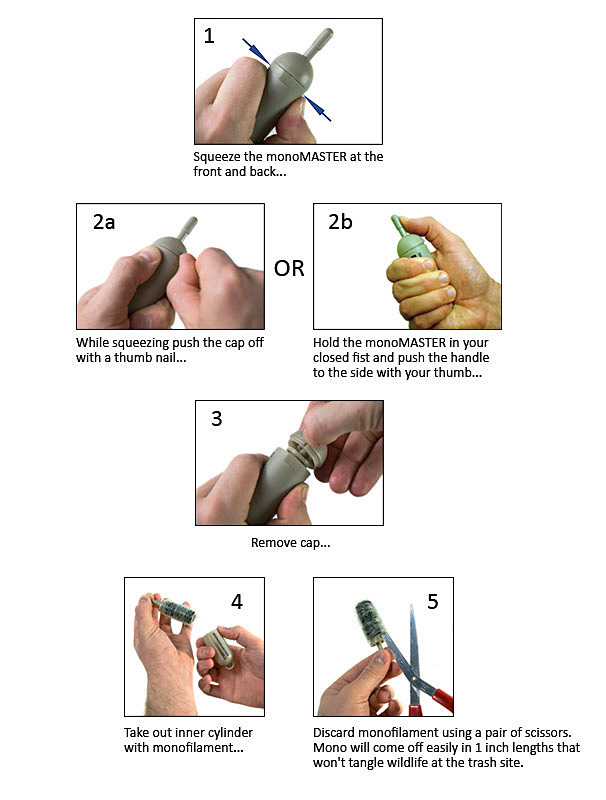 For directions on how to open and empty the Monomaster, continue reading below.